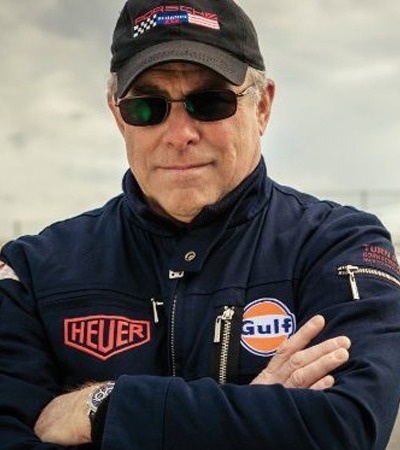 Bruce Canepa has been fascinated with automobiles, motorcycles, and trucks since his childhood. Born and raised in Santa Cruz California, he grew up building model cars and racing dirt bikes and go-karts. By age twelve, his father had taught him how to drive almost everything; from his first car, a 1929 Model "A" Ford, to a ten-wheel diesel truck. He worked in the family dealership every spare moment, learning mechanical, fabrication, body and paint. Today he is passionately involved in all aspects of his companies, from vehicle design and development to historical/collector car sales, restoration and racing. Bruce grew up as the typical California kid; into hot rods, sports cars, and racing. As with everything in his life, he grew up "flat out". He started racing as soon as the rules allowed, first in Quarter Midgets and Go Karts, then in Super Modifieds and Sprint Cars. In addition to numerous wins in all types of racing cars, he was awarded consecutive "Rookie of the Year" and "Most Improved Driver" in three different race categories; Sportsman, Modified, and Sprint Cars. In 1978 he broke into sports car racing with appearances in IMSA and Trans-Am. The following year he took his own team, and his Porsche 934 1/2 to the 24 Hours of Daytona. Teaming up Rick Mears and Monte Shelton they finished an amazing 3rd overall. Porsche was so impressed with his performance they provided him with a brand new factory 935 for the remainder of the 1979 season. As the 1980's began Bruce found himself co-driving with Gianpiero Moretti in the famous MOMO team Porsche 935 at Daytona, Mid Ohio, and Riverside in 1980-81. In 1982 he was back at the 24 Hours of Daytona co-driving with Bobby Rahal and Jim Trueman in the first MARCH GTP "Ground Effects" Prototype. He followed that with a drive in the Electrodyne Lola T600 at the Riverside 6 Hours in 1984. Bruce closed out the 1980's successfully competing in his own Porsche 962 at West Coast IMSA events. Always up for new 4-wheeled challenges, Bruce decided to compete at the Pikes Peak International Hill Climb in 1981. He brought with him his custom designed Porsche twin-turbo powered open wheeler. To everyone's surprise, on his first visit to the legendary mountain climb, he qualified first, and finished an unbelievable second overall. 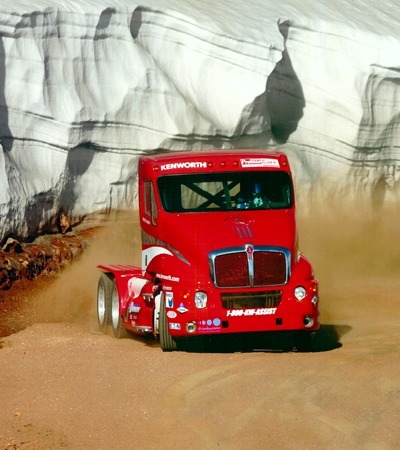 He would revisit the mountain nineteen years later, setting the course record for tandem axle big rigs in 2000, 2001, and in 2002 he crossed the line in 13:57.800 - a record that still stands. Since 1980 Bruce has not only piloted powerful racecars, but also his own successful automotive companies, Canepa and Concept Transporters. Bruce is very much a hands-on CEO; combining his business acumen, racing intensity, and a focus on detail that has garnered him a worldwide reputation of quality, performance, and style. 1993 Canepa became prime business - which would build over 1500 trucks & SUVs.